Capiz residents 12 years old and above will plant a million trees on June 25, which was declared by Capiz Governor Antonio del Rosario as Provincial Arbor Day. Emilyn Arboleda Depon, acting Capiz provincial environment and natural resources officer (Capenro), said that "literally everyone" from 17 local government units "will go up just to plant trees simultaneously." "Our priority is public land: those classified as timber land, those covered by our integrated social forestry beneficiary. We are open to privately owned land, as most (lands) in the mountains of Capiz (are) already registered to a private person," Depon told Rappler. 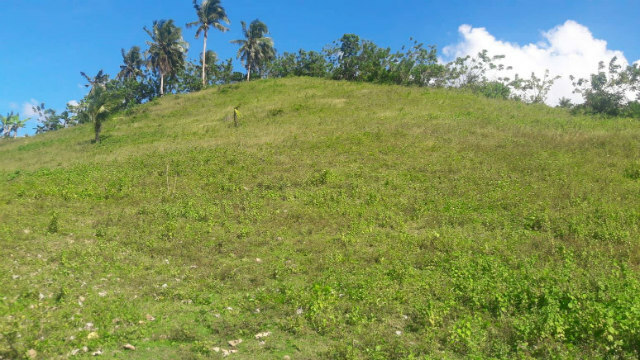 She added that the owners of these private lands "may enter into a memorandum of agreement with the provincial government of Capiz, that their area is available for planting, and that they will not be able to cut those trees planted, unless they ask for a permit to cut from the Capenro office." Depon then lamented that most children today "are no longer aware of our Philippine native trees." They are more familiar with mahogany, gmelina, neem, rather than kamagong, yakal, apitong, narra, talisay, tindalo, red and white lawaan, duguan, ipil, and banaba. "We advocate the use of Philippine native trees for our reforestation program, our saving Philippine native trees," she said. The seedlings will be provided by the Department of Environment and Natural Resources, the Department of Agriculture, the Philippine Coconut Authority, the Bureau of Fisheries and Aquatic Resources, and other partner agencies and private sectors. However, the provincial government also has fruit-bearing trees and native trees. "As much as possible, we do away with mahogany, because it is only good for tree plantation, but not for reforestation," she also said.